World class. A tremendous MJ rookie which boasts near flawless centering and undeniably GEM MINT corners and edges. Everything about this card is fully worthy of the lofty PSA assessment. 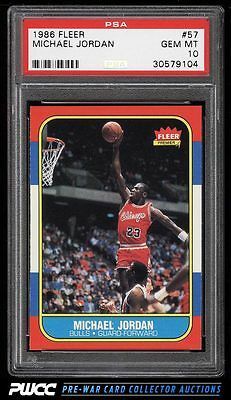 Part of an altogether staggering and impressive assembly of 1986 Fleer Basketball on the auction block. Almost entirely composed of PSA 10s which many representing among the finest examples in the world. One of nearly 20,000 cards, lots, and sets up for bid in our 7th Auction of 2016. Click on the link above to view the other PWCC auction lots.